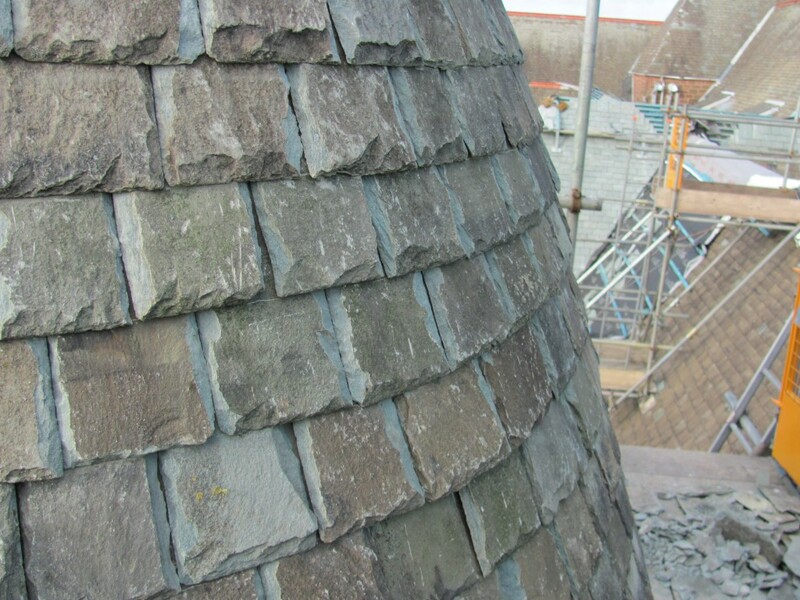 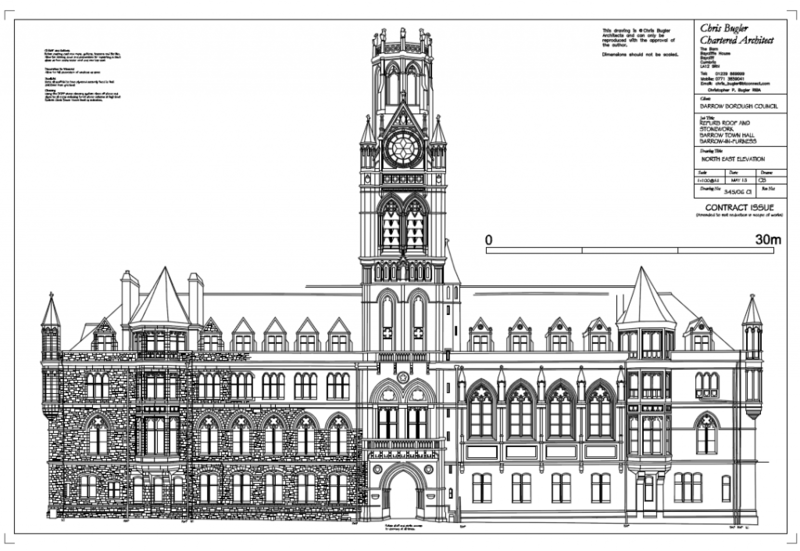 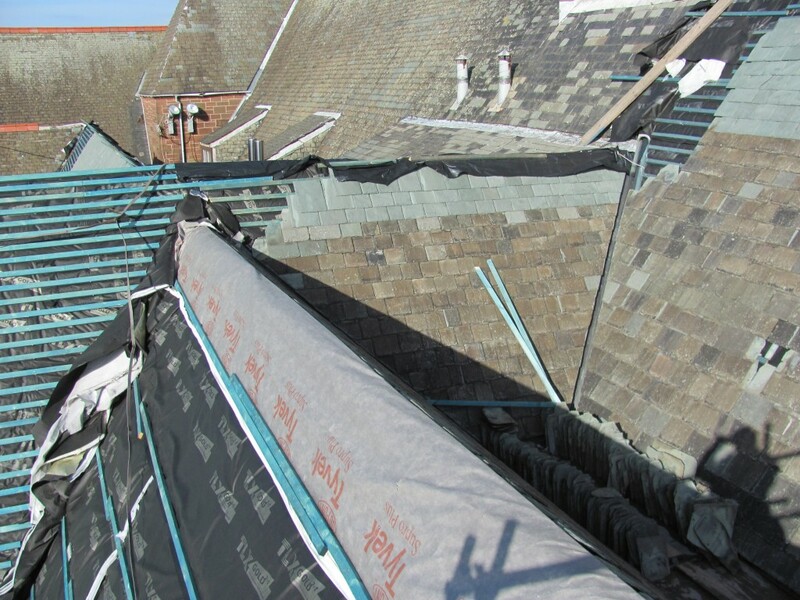 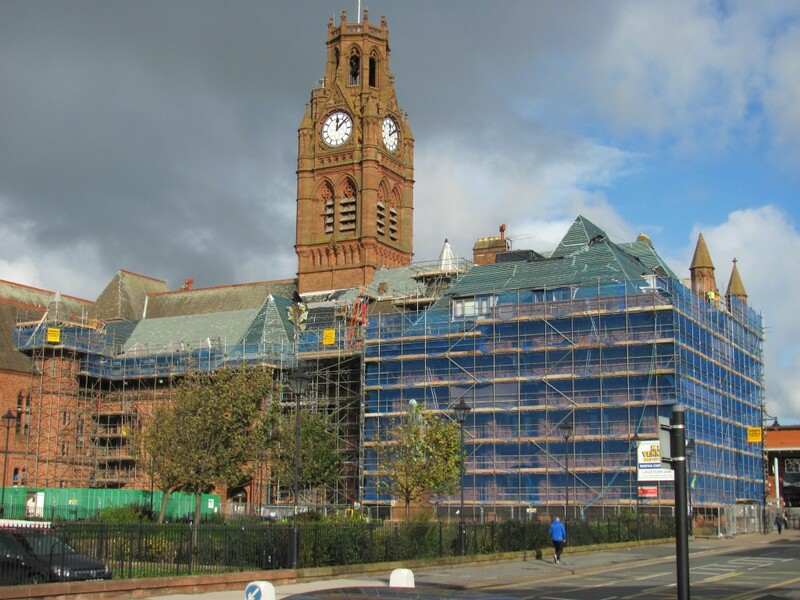 The 135 year old Town Hall is Listed as Grade II* and the scope of the project includes replacing 75% of the Westmoreland Green Slate roof covering together with the fitting of new insulation, gutters and leadwork to a very complex roof configuration. 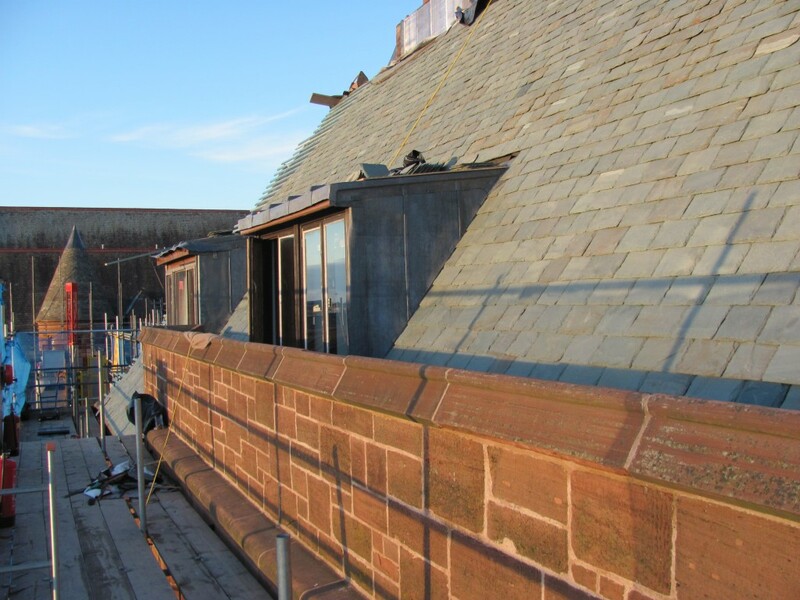 The project also encompasses the dressing back, repointing with lime mortar and where necessary replacement of red sandstone on two elevations. 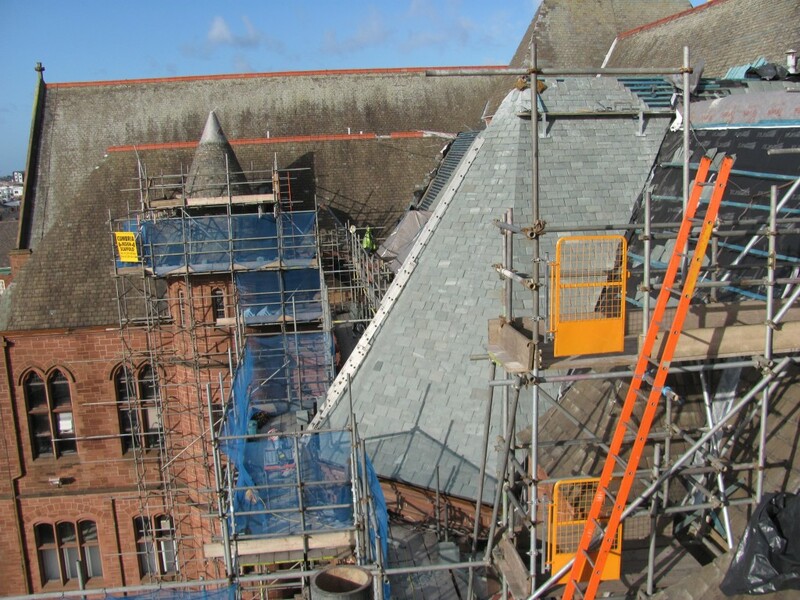 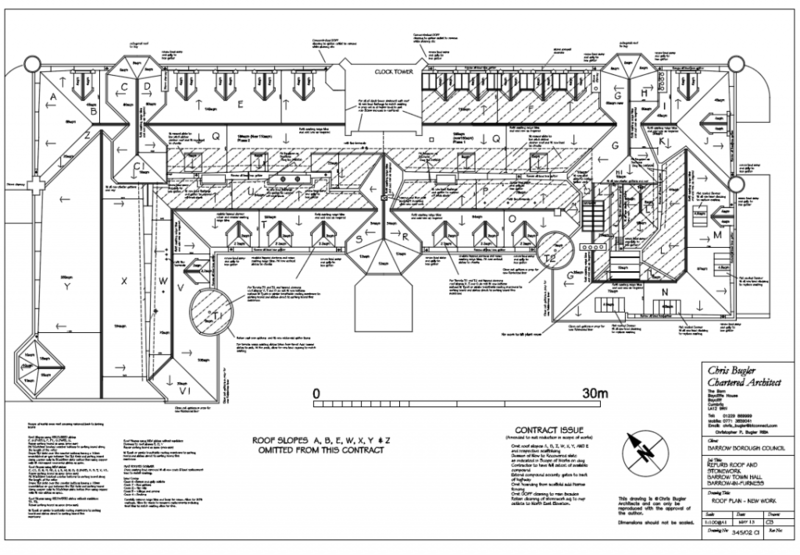 Prior to commencing construction drawings, the tender process and operations on site a full condition survey and analysis of the existing roof covering and respective stone walls was completed and formed the basis for identifying the scope of works. 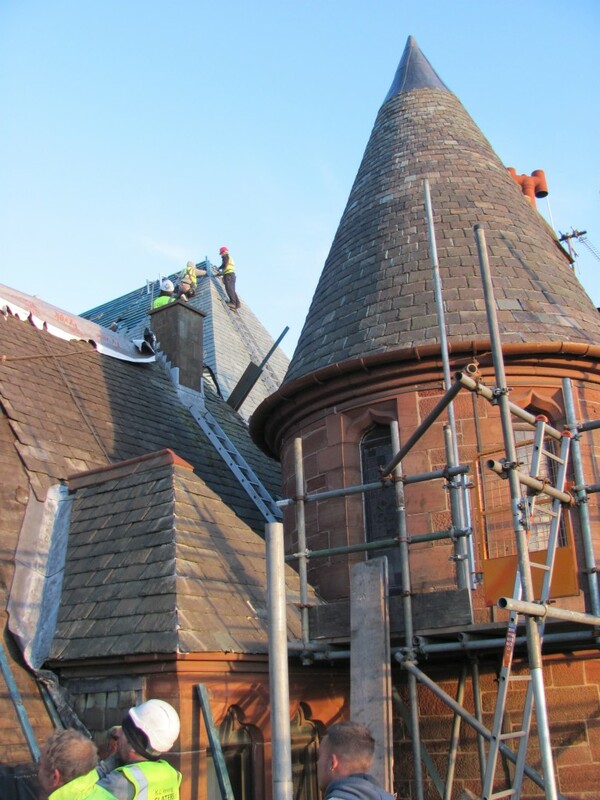 Professional services: Full architectural preceded by the carrying out of an in depth Condition Survey and identification of the remedial work required.